XPlatter.com: My song recorded by "The Miracles"
My song recorded by "The Miracles"
Brokenhearted Girl - Brokenhearted Boy, Written by: Elmer Hopper - Freddie Perren-Christine Yarian. I wrote this song as a tune about a couple breaking up and realizing later, that they're still in love. I started off by saying, there was a girl who had eyes that shine like stars above, such a sweet little thing. Freddie Perren being the experienced writer that he was said that he thought I should change that lyric, and that's where Christine his wife came in. She has quite a history as a brilliant lyricist that credits her many hit recordings. Many people asked if I had written this particular song about any ex-girlfriend. No! it was just a story that came to mind while trying to continue music after my band broke up. I was studying music and the chord changes just came to me as well as the lyrics. 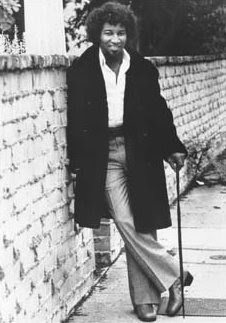 Freddie wrote the bridge and shortly after, we were at Motown recording this tune along with the whole album, "Don't Cha Love It"
At the studio, Sunrise or Sunset, both were Motown studios, I met Pete Moore, Ronnie White & Bobby Rodgers the 3 original Miracles. They told me how much they liked the tune as we talked, or should I say while I was trying to make conversation with these 3 giants. Then Freddie walks over with Billy Griffin Introduces us and Billy says to me, man I like this song so much, it reminds me of myself and Jermaine Jackson. In terms of the way the tune sounds, I guess it would, I was a Smokey Robinson fan as I'm sure he was. Frederick "Freddie" Perren: American songwriter, record producer, arranger, and orchestra conductor, most of all a friend and musical inspiration. Brokenhearted Girl...A Little Piece of Heaven and You Are Love are my favorite songs by the Miracles with Billy Griffin. You Are Love is on cd but the first mentioned aren't. Why is this? Is there some legal reason? I love The old stuff with Smokey but on at least one of the anthology compilations room can be made for these two songs! What's the problem? I don't know Baggins, who's Baggins? It's bed time Baggins.